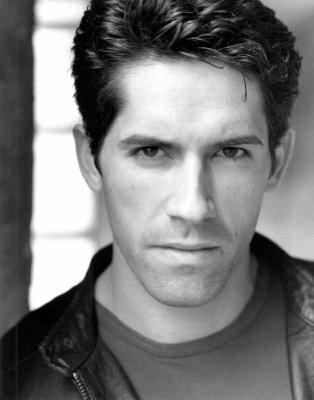 Scott Adkins was born in Sutton Coldfield, England, on June 17th, 1976, into a family that for generations were Butchers. Along with his elder brother Craig, he was raised by John and Janet Adkins, a loving middle-class family. It is worth mentioning that Scott's great, great grandmother was of Spanish descent. Scott attended Bishop Vesey's Grammar School in Sutton Coldfield. Probably not the best of students, he used to sneak downstairs after his parents had gone to bed and watch films all night then fall asleep during lessons. A natural athlete, Scott enjoyed a variety of sports as he grew up, but when he was 10 years old, he accompanied his father and brother to the local Judo club. The attraction was instantaneous. Idolising stars such as Bruce Lee and Jean-Claude Van Damme, Scott began to train everyday. He took over his Dad's garage and turned it into his own Dojo. He even had a shrine to Bruce Lee in there that he would bow to. He remembers being mugged on a bus when he was around 13 and that really kicked his training into overdrive. He wasn't ever going to let that happen again. At the age of 14, Scott went on to train in Tae Kwon Do under the instruction of Ron Sergiew with the T.A.G.B. After a few years, he moved on to Kickboxing under Anthony Jones. He is now a fully trained Kickboxing Instructor for the P.K.A. A self confessed "film junkie" Scott's attention was drawn to acting through the Hollywood Greats. He enrolled in a drama class at Sutton Coldfield College. Being a shy lad he initially found it difficult to be put on stage in front of an audience. Finally, at the age of 21, Scott was offered a place at the prestigious Webber Douglas Academy of Dramatic Art. However, as an impoverished student, he found it hard to make ends meet without a grant and was forced to leave without completing the course. Very dejected he thought that was the end.His first break came when he was offered a role in a Hong Kong martial arts film called Dei seung chui keung (2001) (aka Extreme Challenge). Spotted by Head of The Hong Kong Stuntmen Association and director Wei Tung and English-born Hong Kong movie expert Bey Logan, Adkins found himself in the East for the first time. Scott got the chance to work with some of Hong Kong cinema's leading action directors including Woo-ping Yuen, Corey Yuen, Sammo Hung Kam-Bo and the legendary Jackie Chan. Acting roles started to come in and he was offered a guest role in BBC's &#x22;Doctors&#x22; (2000) filmed at Birmingham's Pebble Mill. 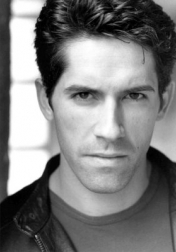 A few episodes in BBC's &#x22;EastEnders&#x22; (1985) and &#x22;City Central&#x22; (1998), and a lead role in Sky One comedy drama &#x22;Mile High&#x22; (2003) followed by a regular role in BBC's &#x22;Holby City&#x22; (1999) as Bradley Hume, the assistant General Manager of Holby General.Starring roles in feature films soon followed with his portrayal of Talbot in Special Forces (2003) (V) and Yuri Boyka" in Undisputed II: Last Man Standing (2006). It was this film that broke him into the mainstream with his villainous portrayal of a Russian MMA underground fighter Boyka in what has been hailed as one of the best American made Martial Arts films of recent times. Along with lead actor Michael Jai White, fight coordinator J.J. Perry and the slick direction of Isaac Florentine this movie has some unbelievably heart stopping fight scenes. After this Scott has had guest starring roles in bigger budget films like The Bourne Ultimatum (2007) and The Tournament (2009), and played Jean-Claude Van Damme's main adversary in Sony Pictures The Shepherd: Border Patrol (2008) (V). Are you sure, you want to add Incoming to your wish list? Are you sure, you want to add The Debt Collector to your wish list? Are you sure, you want to add Accident Man to your wish list? Are you sure, you want to add Eliminators to your wish list? Are you sure, you want to add Doctor Strange to your wish list? Are you sure, you want to add Hard Target 2 to your wish list? Are you sure, you want to add Jarhead 3: The Siege to your wish list? Are you sure, you want to add Home Invasion to your wish list? Are you sure, you want to add Close Range to your wish list? Are you sure, you want to add Re-Kill to your wish list? Are you sure, you want to add Zero Tolerance to your wish list? Are you sure, you want to add Ninja: Shadow of a Tear to your wish list? Are you sure, you want to add The Legend of Hercules to your wish list? Are you sure, you want to add Zero Dark Thirty to your wish list? Are you sure, you want to add El Gringo to your wish list? Vincent Brazil and Roland Flint are the two best assassins in the world - but unknown to each other. These two rival assassins form an uneasy alliance to take down a target, which is backed by dirty Interpol Agents. Are you sure, you want to add Assassination Games to your wish list? Are you sure, you want to add Undisputed III: Redemption to your wish list? Are you sure, you want to add The Tournament to your wish list? Are you sure, you want to add Stag Night to your wish list? Are you sure, you want to add Undisputed II: Last Man Standing to your wish list? Are you sure, you want to order The Shepherd: Border Patrol ?